This ultimate drop test is probably tough to beat. The Apple iPhone 6 looks magnificent as it flies above the sky. 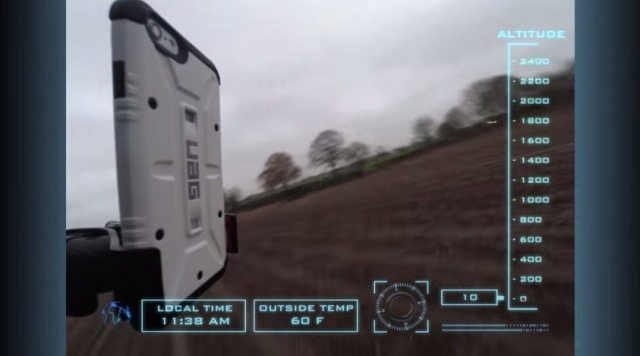 Apple iPhone case maker Urban Armor Gear (UAG) did an unimaginable drop test of an iPhone 6. 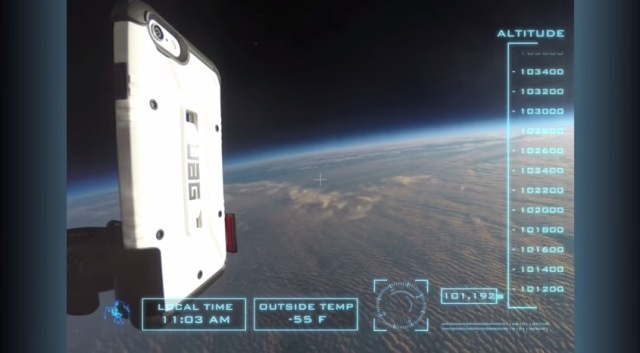 The company dressed an iPhone 6 in one of their toughest cases, the UAG Composite Case, and flew it way up the stratosphere using a weather balloon for an extreme adventure. Then, they let it drop with hopes of having the phone like how it was before – in perfect condition. Read on and find out if that happened. The experiment was done last November 2014 and the video that captured the iPhone’s entire trip way up and way down was just posted recently. Did It Break or Is It Still Working? We have seen many Apple products, both iPhone and iPad alike, subjected to extreme tests such as dropping them from an airplane or putting them in molten lava but nothing is like this one. The iPhone 6 almost at the peak of the ultimate drop test. The Apple iPhone 6 was flown to 101,000 feet into the atmosphere via weather balloon where it faced 70 miles per hour wind and -79 degrees Fahrenheit temperature. Though the iPhone was turned on upon launch, it froze and shut off upon facing extreme weather. When the weather balloon carrying it popped, the iPhone 6 appeared like it was dropping from the edge of space, close to where the effects of gravity is felt, short of tossing it into the outer space. 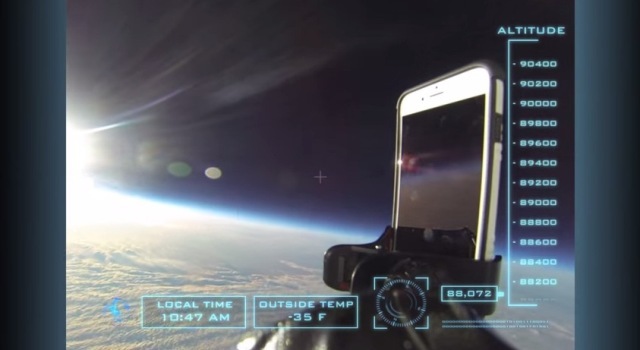 Urban Armor Gear attached the Apple iPhone 6 to a weather balloon along with a GPS locator to easily locate it when it drops back to Earth and two GoPro cameras to film the entire trip. During the drop, the iPhone along with its rig survived 150rpm rotation speed. Upon hitting the surface, the rig broke while the Apple iPhone 6 appeared to remain unscathed. The Apple iPhone 6 dropping back to Earth, a few seconds before it hits the ground. The Urban Armor Gear case used to secure the tested iPhone 6 promised military-grade protection. However, the device did not have a screen protector. Still, the Apple iPhone 6 was able to come back to Earth without damage. After the test, Urban Armor Gear said that they were able to power back on the iPhone 6 and it was still fully functional. Interestingly, this was not shown on the video. Moreover, the final shot of the iPhone when it hit the ground was just taken on the rear side and the front side was not shown. Do you believe that the Apple iPhone 6 survived the ultimate drop test?